A Health Care Blog by Dr Vikash Singh: ANTIBIOTICS - GOOD OR BAD? ANTIBIOTICS - GOOD OR BAD? What do you do when you are suffering from an infection or when you fall sick? With the feeling of awfulness and lack of energy, and, usually as a last resort you find yourself in a waiting room filled with other patients, coughing and spluttering, waiting to see your doctor. Fortunately or unfortunately, the doctor’s usual response will be to put you on a course of antibiotics! So, what actually is an antibiotic? Antibiotics, also known as antibacterial, are chemical substances, which are produced by some microbes and can kill or retard the growth of other disease causing microbes. The Greek word anti means ‘against’, and the word bio means ‘life’, which together mean ‘against life’, in the context of disease causing organisms, whereas, with reference to human beings, they are pro-life, not against. They act as powerful medicines that fight bacterial infections and can save lives when used properly. Antibiotics either stop bacteria from reproducing, or kill them. They were first discovered back in the late 1880’s. When they first came out, they were thought to be the miracle cure that was going to save the world from diseases. They have the potential to be life-savers when used properly. Antibiotics are usually used to treat infections caused by bacteria, such as tuberculosis, salmonella, and some forms of meningitis. To a great extent, they did a very good job and saved many lives. Well, until, the disease and bacteria got smarter! Over the past few decades, the bad-effect of antibiotics has been getting exponentially worse. The sad part of the story is that we are at fault for this negativity. Yes! You read that right. Antibiotics worked so well for years that everyone wanted to take them whenever they got sick. Even when there was a case of little sniffle or running nose or even a flu, people had been continuously asking their doctors for antibiotics regardless of these being viral diseases where antibiotics don’t work. Eventually, the bacteria started to change and mutate into strains that are resistant to antibiotics. Facts has it that if antibiotics are overused or used incorrectly there is a risk that the bacteria will become resistant and then the antibiotic becomes less effective against that type of bacterium. As a result, more and more people are being killed by drug resistant bacteria. The number of deaths is even more than those caused by prostate cancer and breast cancer combined. Alarming? Isn’t it? Well, that’s not all. 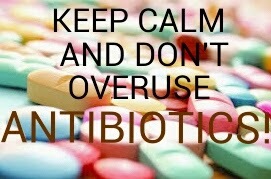 Even if you have never taken antibiotics, the odds are that you must have seen consumed large quantity of them. Did you know that the water we drink contains antibiotics? It’s hard to avoid them but it can be done. Thus, it is always advisable to drink reverse osmosis water. To end it all, antibiotics are both good and bad. It depends on how you utilize it. Overuse can harm you while adequate use can save lives. Choice is yours! Keep your body healthy and it will take care of itself. After all, if you don’t take care of your body, where are you going to live? Very well written Sonakshi!!! 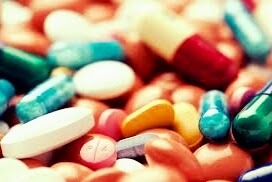 The information regarding antibiotics is very much necessary and this article should further be promoted!!!!! !